Not much new to write, and not much time! Things are going great, we taught a ton of lessons this week and it really paid off! 6 investigators were at church yesterday! Yay! 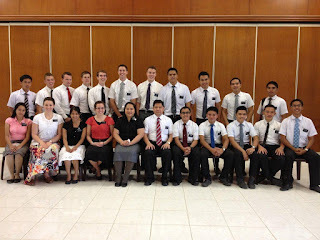 And I gave a talk in sacrament meeting yesterday in waray-nglish haha It went well, I planned on talking about the importance of going to church every week, reading everyday from the Book of Mormon and Praying but I ended up just talking about the importance of the Book of Mormon and how if we let it, it will literally change our lives. So, read the Book of Mormon everyday!!!! When I was really young, I thought what's the difference between reading a chapter everyday and reading seven chapters in one day?? It wasn't until I set the goal to read everyday, even just a verse, and looked back over months of time that I realized that the difference it makes is huge! And to this day, I can't go to bed without reading from the Book of Mormon. That habit as been such a blessing in my life! Transfers are this week and some big changes are coming! Rumor is that our ward is getting two more elders and the other two wards in our district that have elders are each getting a new set of sisters! This work is truly filling the whole world and it is so cool to be a part of! 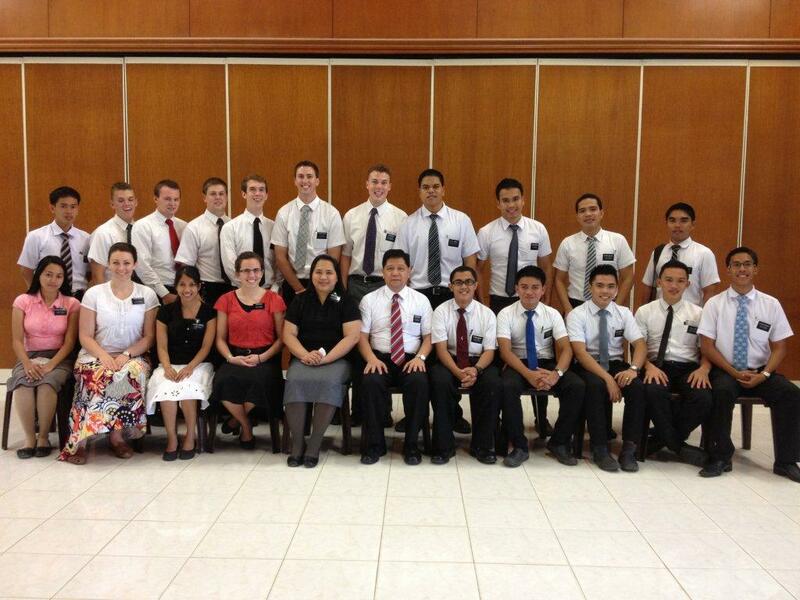 I'm kinda sad, because I'm pretty sure the Elders will get the area of our ward with basically all of our investigators and everyone we visit, but it will be cool to start fresh, but still be able to see our investigators at church and such. Every week, I think, there are SO many people who we need to visit, who want to be taught, we just don't have enough time! So it will be really nice to have some extra help in the ward. Our ward is great, our bishop is really involved as well as the ward missionaries with going with us to teach and it really makes a big difference. And it's getting better. Exciting event of this week, we went to visit a house and these two little girls were leading us and we had to jump across 3 stones in a river/ stream thing and hold onto a tree to avoid a huge pig then jump on two more stones. We asked them if there was another, easier way to get to their house but they said nope! And They have tiny children! And a baby! I have no idea how they get anywhere. It was pretty fun though. And today we at breakfast we heard the loudest squealing noise ever and I said, "What is that? A dying pig??" (as an expression) "Yep, they're tying him up and they are about to slit his throat" haha it was crazy. Seriously, it was so loud! I think that's about it! The pig we had to avoid.. and the stream we had to jump across. The little girls leading us to the house - note the gutter system. It can be pretty smelly. Shout out to my Texans!! Elder Coontz gave this to me cause there is was a Texan previously in their apartment who left it behind. Texas pride never dies. My Philippines flag badge that some elders made for our district in the MTC. I don't wear it but Sister Somera thought it was awesome and wanted a picture. Sister Somera's fancy meal. She seriously spoils me so much! Shania and Sister Weng, She is less active and we have been working very close to help her get married. She is so great! Me with Shania! She is so cute!